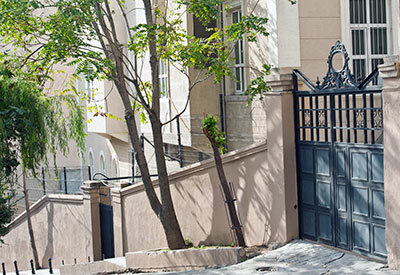 Our gates are no different to any other household appliance or mechanism we keep or have in our home. We get to use them for some time and they work flawlessly; over time the same appliances and in this case our gets get used one time too many and then they start performing poorly or stop performing all together. Basically the life span of your gate and the period of time your gates will go on without any kind of assistance or gate repair intervention will greatly depend on the type of the gate you chose for your home; it will depend on the gate brand and the gate manufacturer; it will depend on the usage of the same gate as well as on the frequency with which you maintain the same gate mechanisms. Great thing about gates is that on average they can really go for while without calling for any kind of attention whatsoever. The bad thing is that they cannot go forever like that and once they fail to perform the first time this is pretty much the path they continue to follow. It is not that you have to throw your gates away immediately after one part of their mechanism stops working; it is only that from this moment on your gate is officially headed for the one way road. What are the most frequent issues with gates? Gates are made of great number of smaller and bigger parts. The number of gate parts and constituents largely depends on the type of the gates you have in your home. As you probably know gates can vary from very simple models you manipulate manually to very sophisticated models that are manipulated using various remote controllers and clickers. Quite often issues that commonly strike gates are: gate motor repairs, gate hinges repairs, gate wheels repair, rotten gate repair, intercom repair and so on…Since gates are relatively complicated ,mechanisms there are numerous issue that may strike them from one moment to another. Good news is that great part of the above listed gate issues is easily fixable with the intervention and remediation of the professional gate contractor. If you gonna have the gate then you might as well immediately try to find reliable gate contractor since one definitely does not work without the other, at least not the long run.